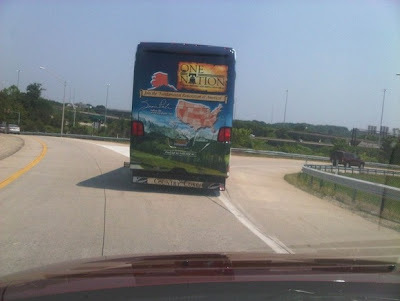 Media Matters has an interesting article about rightwingers claiming that President Obama is copying Sarah Palin by going on a bus tour of the midwest. Taking a page from Sarah Palin’s rolling menace, President Obama will this month go on a bus tour of the midwest, which is expected to immediately “save or create” one temporary bus driving job. 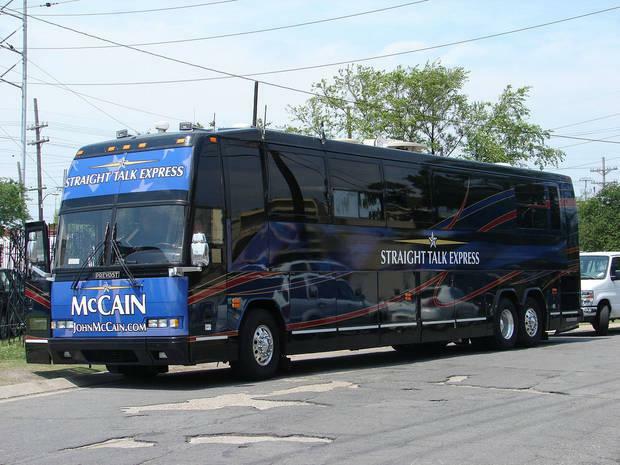 If you haven’t heard yet, let us be the first to inform you: President Obama is planning to set out on a Sarah Palin-esque bus tour throughout the Midwest. Sen. Humphrey, also paying a return visit to the Mountain State, took off from Charleston early this morning in a chartered bus with "Here Comes Humphrey" on the front. Kennedy is making a three-day bus tour. It will take him across the southern coal fields to Bluefield, on the Virginia border, then northeast through the bluegrass farming country of the placid Greenbrier Valley. 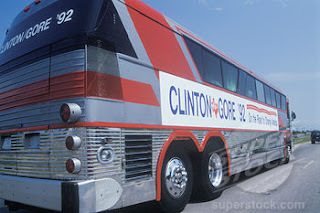 Everybody copies Sarah Palin, from clothes to bus tours, including people who died before she was born!